Why don’t we treat ECM systems as any core business application? Just as it was a CRM system, an ERP system or an accounting system? Just don’t underestimate the impact of an ECM project. Enterprise Content Management (ECM ) systems have been around for several decades. And after all these years there’re still issues around the user acceptance of these systems. In most cases the document management facilities of the ECM systems are difficult to get accepted by the user population. And these document management functions happen to be the core of the system. ECM relates to the “strategies, methods and tools used to capture, manage, store, preserve, and deliver content and documents related to key organizational processes. ECM tools and strategies allow the management of an organization’s unstructured information, wherever that information exists.” (Association for Information and Image Management 2011). Many authors suggest that with ECM projects in particular, extra attention is needed for the user. Listening to their needs, taking users along with the development of the system and adequate training are very much needed to improve acceptance rates. I do agree with the value of these measures. Indeed, they should be employed for every IT project. I’m convinced that using techniques like design thinking would also help with ECM projects. I’ve worked on a lot of ECM projects in my career. And I’ve seen a lot of attention for the user, their needs and desires. In some case half of the team consisted of members exclusively dedicated for communicating with the future end users, helping and training them out and listening to their requirements. Still the success rate of these projects was not high. So why do ECM projects not succeed? As already described above, the cure for low acceptancy seems to be user involvement. Yes, I do agree, but I don’t think that’s sufficient for success. From my observations, I’ve concluded that there are more pressing issues that need to be resolved to make your ECM project more successful. To date, the concept of ECM has received only limited attention of the IT discipline. A lot of people see Enterprise Content Management only as Document Management; and Document Management only as some kind of enhanced file sharing system. It’s just a nice app or feature which can be used freely. Collaborating with documents is of course important and many document management packages focus on this part. ECM becomes an optional facility that can be used, or not. In a recent discussion on a Dutch computer website a computer expert stated that it’s not up to him to prescribe how user should work with documents. I wondered, does this guy also have the same opinion on ERP or finance programs; implying that those programs should not steer or guide the users to follow the rules? ECM systems have to comply with internal and external rules for information governance, centralized storage and taxonomies, lifecycle management and retention, unified business processes, security and privacy and so forth. ECM will impose constraints on their users. If you think those constraints are of no value, don’t buy an ECM system. Many projects I’ve been involved with didn’t have the right level of management commitment. Yes, the projects were started from managerial level. In some cases, the end users weren’t involved in that decision, so here we’ve got another issue. Even when the management did involve their people in the decision, they didn’t support the project in the long run. When the user population did start to protest against the results of the project, the management burdens the project with all kinds of extra user requirements to raise user acceptance. I would rather say: over-burdens the project. This will cause extra delays and over-complicates the solution. In the successful projects I’ve been involved in; management owned the ECM project and felt responsible for their timely delivery. When users showed signs of non-acceptance, it was management that stepped in and started the discussion. Instead of letting the project teams do the “dirty” work. The basic message management should convey is something like this: “Yes, we will use the system as conceived; yes, you’ll get appropriate training; and no, we won’t be able to grant all your wishes”. Furthermore, no IT-systems will please all users in an organization. There will always be people who don’t like the system. You’ll never get 100% happy users. This is also the case with ECM systems. In most companies where ECM systems are implemented, the old ways of working are kept in place for document management systems, which is in most cases-file shares. And most ECM systems cannot keep up with the flexibility and user friendliness of these systems. Why? As stated before, ECM systems have to comply with internal and external rules for information governance, unified business processes, centralized storage and taxonomies (…). 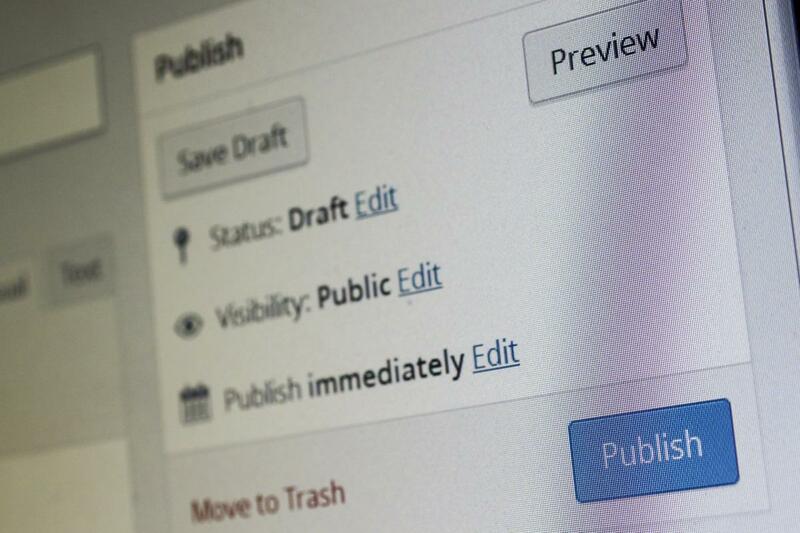 These rules will limit the ways users can work with documents. But when you keep the systems alive that don’t impose those rules, what system is more convenient to use? Not the ECM system. So if you want to impose all those rules on your organization, keep in mind that ECM systems will help you achieving that goal. But you’ll have to phase out the old systems that do not comply. Yes indeed, also phase out the use of file shares within business processes. I know that ECM acceptance is far more complicated than descibed in those three issues mentioned above. There’s a lot of scientific literature about this subject. But we shouldn’t underestimate the consequences an ECM system has on the way people work. Implementing ECM systems mean a lot of managerial attention and commitment, knowledge about the implications of business processes and rules, and last but not least, insight in how users use documents in their daily work.